Designing a direct mail piece and sending it to your entire mail list will never be as effective as personalizing your message to each of your segment’s needs. If you’re not segmenting your customer lists in your direct mail programs, you should be. Doing so enables you to mail different versions of your direct mail to different segments. When you send direct mail messages that are highly relevant and personalized, you will get more response than when you send the same generic message to everyone on your customer list. Many marketers only personalize mailers with customers’ contact information, because that’s all their existing database will support. In today’s highly competitive marketplace, that’s no longer enough. Different people deserve different messages. What are some ways you can personalize your mailings? Retailers commonly personalize based on customers’ past buying habits. Amazon.com has elevated this to an art form, not only recommending products that “other people have purchased” on the page of the product you plan to buy, but also sending you emails with similar items that may be of interest. Kohl’s department stores keep track of what and how much you buy, and then followup with you by sending you offers for related items. Their YES2YOU Reward members also get notices of special sales that non-YES2YOU shoppers don’t. Lutheran Indian Ministries of Brookfield uses personalization to boost the success of its fundraising efforts. They segment donors by how much they’ve donated in the past, when they last donated, those who have lapsed – people who haven’t donated in several years – and those people who have never donated. Each of these segments receives a customized letter and response card written to resonate and inspire them to donate. The challenge for most marketers today is how to segment your audience to develop personalized direct mail. Basic personalization – name and contact information – increases engagement and drives some level of improved response. But the much bigger payoff is to develop customer segments that are based on your customers’ interests, purchase profiles and other relevant information – and then use that to craft your specific direct mail message versions to drive higher response. The first step toward personalization nirvana? Clean up your database. You need to create a solid foundation of accurate and complete data before you start adding more tables, fields and business rules to it. 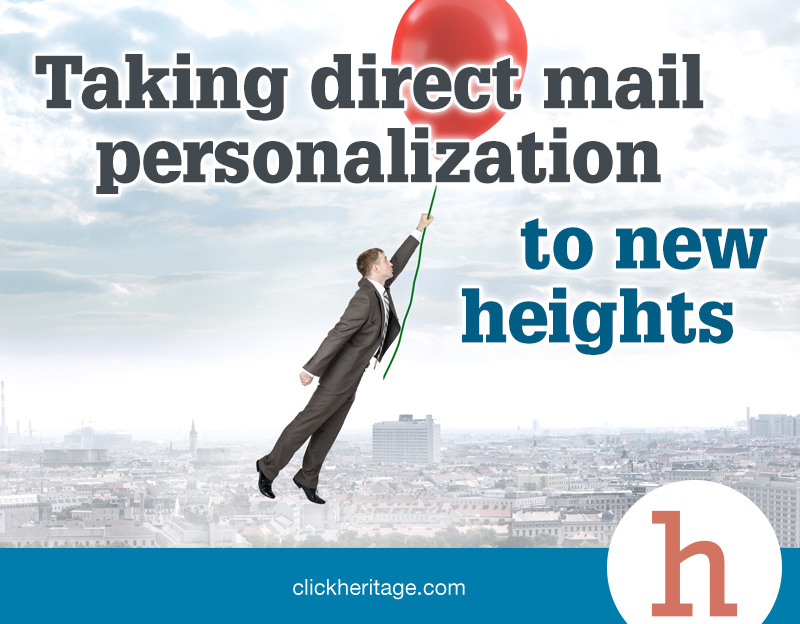 Do you need help with developing your direct mail personalization? Let’s Chat.